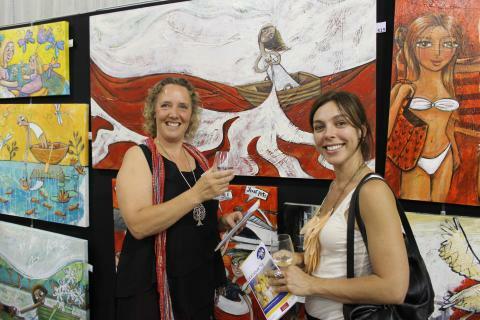 To celebrate the opening of the 2019 San Remo Art Show, the Rotary Club of Phillip Island and San Remo will host a gala opening event, where guests have the opportunity to meet the award-winning artists and have the first chance to purchase paintings. This is very popular community occasion and a wonderful opportunity to enjoy the artworks in a relaxed and social setting. Light refreshments are provided and a bar is open for purchases of local wine and beer, to a backdrop of music, provided by local musicians. 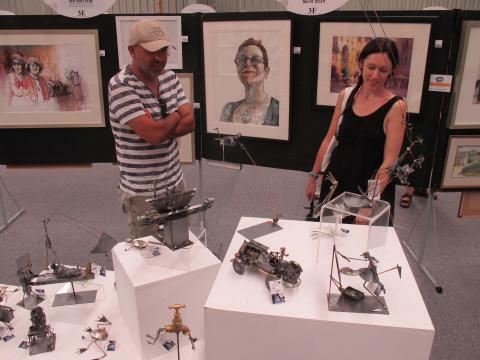 Exhibitors are invited to attend the event for free, giving you a chance to meet and talk with the artists. a glass of local wine or soft drink. Tickets can be purchased prior to the event. Admission: $5.00 per head, children free up to 18 years of age. Exhibitors free.